Unless you’re a tech fanatic, you may not realize that some of the most promising tech innovations to help us age well and “in place” were introduced last week at the Consumer Electronics Show (CES). And while many of the offerings are not yet ready for public consumption, it’s certainly intriguing to see what’s coming down the pike and what may appeal to us as we come to grips with aging and all its implications. For an overview of what was introduced, take a look at this summary provided by Aging in Place Technology Watch. And if you’re open to having monitors, sensors, alarms and remote connectors all watching out for you and your well-being, then you should read here and here about new innovations that may soon be available to make you and your home “smarter.” Finally, you know they’re coming- and in Japan, they’re already beginning to be in place– those cute little “robots” that may become your home companions for health or social reasons. 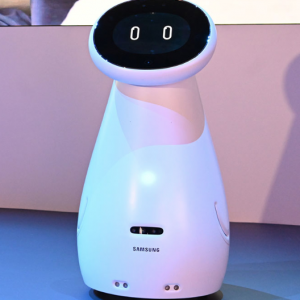 So brace yourselves and find out about the latest robots that were introduced at the CES this year.